Flowering - March - July. Habitat - Glades, rocky open ground, openings of upland woods, roadsides, railroads. 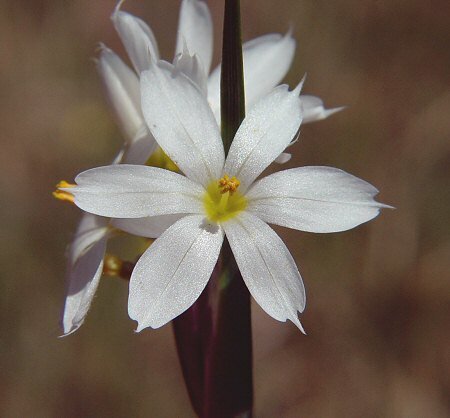 Other information - This showy little species can be found in counties scattered across Alabama. 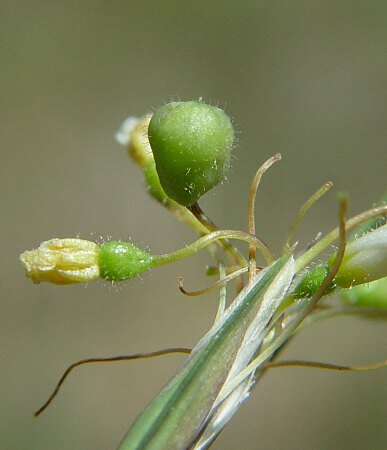 The plant can be identified by its single to double inflorescence terminating the aerial stem, its third, large spathe subtending the inflorescence, and its white flowers. 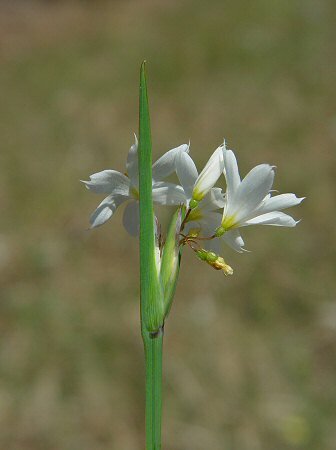 Other species of Sisyrinchium which are typically blue-flowered can have white flowers sometimes also. A proper ID is typically made by observing the number of spathes which subtend the flowers. 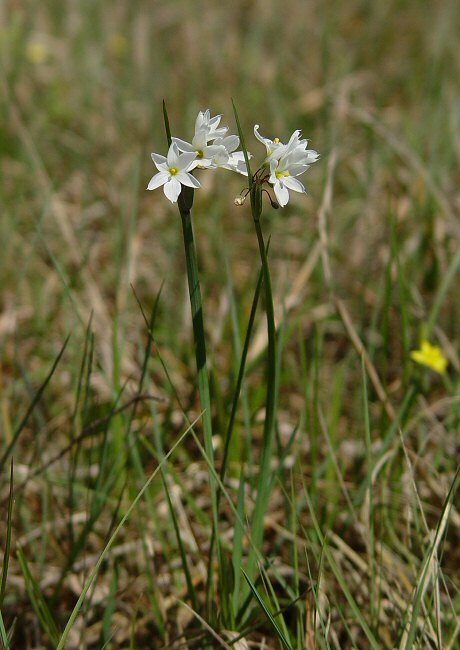 The genus name Sisyrinchium derives from the Greek "sisyrinchi(um)" meaning "an Iris-like plant"; used by Theophrastis. 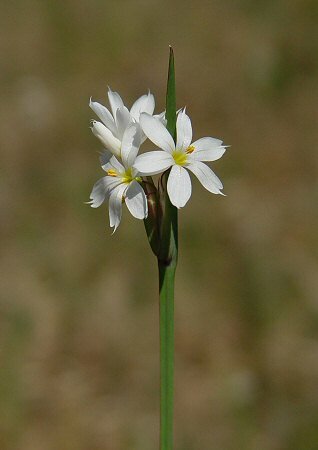 The species epithet albidum derives from the Latin "alb(id)" meaning "white" referring to the flowers. Photographs taken off Hwy 41, Dallas County, AL., 3-25-06.